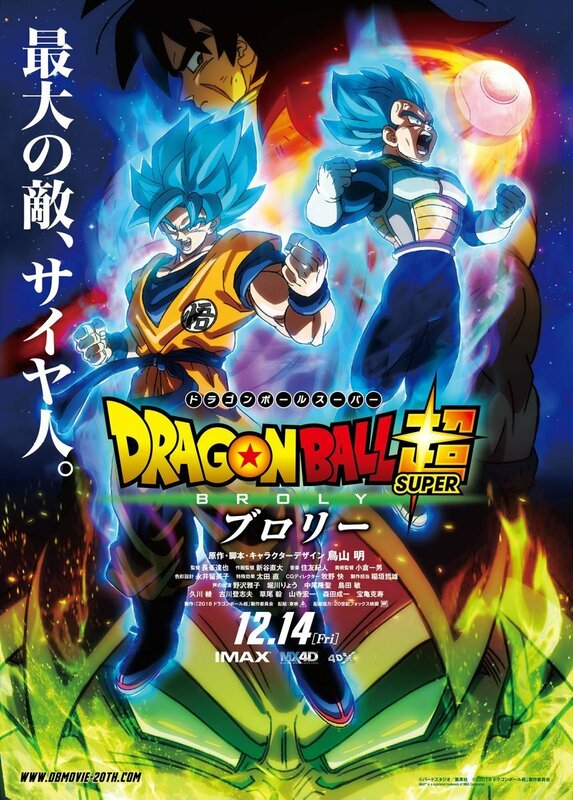 This month, we saw the theatrical release of the much anticipated animated feature film, Dragon Ball Super: Broly. The film is set to crack the top 5 at the U.S. box office, showing that the Dargon Ball franchise is more alive than ever. Taking a character that was featured in animated films in the past and officially making him canon while changing the story, this film takes a gamble that pays off big time. The film starts at the beginning for these characters, way at the beginning. Back with Vegeta’s father ruled the Saiyans, who were slaves under the rule of Frieza’s father, and then Frieza. We see how Broly’s father Paragus fits into the story, and how the young yet powerful Broly gets exiled out of fear that he would surpass Vegeta. Another great twist is seeing Bardock, father of Goku, who ties into this storied history as well. Fast forward to the present time to Goku and Vegeta once again sparring to make themselves stronger, which is interrupted when Bulma learns that Frieza’s men have stolen the Dragon Balls she gathered. With only one ball left to track down, Goku, Vegeta, Bulma, and Whis race to the artic, where they find that not only are they too late, but they are confronted by Frieza and his two newly discovered soldiers, Paragus and his son Broly. When the two most popular Saiyans meet these two new Saiyans, sparks are bound to fly. This interpretation of Broly is an upgrade in my book: feared to be the legendary Super Saiyan, he is exiled to a strange planet where only he and his father inhabited it. Raised as a warrior and shown zero compassion, Broly is a time bomb waiting to explode, and yet all he wants is companionship. His fighting style is more akin to the Saiyan transformation of the Great Ape, except he is still in Saiyan form. You can’t help but root for Broly through it all. My favorite part of the film has to be the fight scenes, which is a staple in the franchise. The fight between Broly, Vegeta, and Goku is insane, brutal and everything I hoped for and more. If there were a weak point, it would be the slow pacing at the beginning, mainly with scenes on Earth. But if you are a fan of the series, you know that there are always a few slow episodes, so this was to be expected. Dragon Ball Super: Broly is a juggernaut of a film, and makes one thing clear: if you had any doubt of an anime resurgence, this should be that to rest. Arguably the most popular anime in the U.S., Dragon Ball Super, along with anime like My Hero Academia, is creating a new golden era for anime, both here in the states and across the globe. I easily give Dragon Ball Super 9 Dragon Balls out of 10, just don’t summon Shenron.